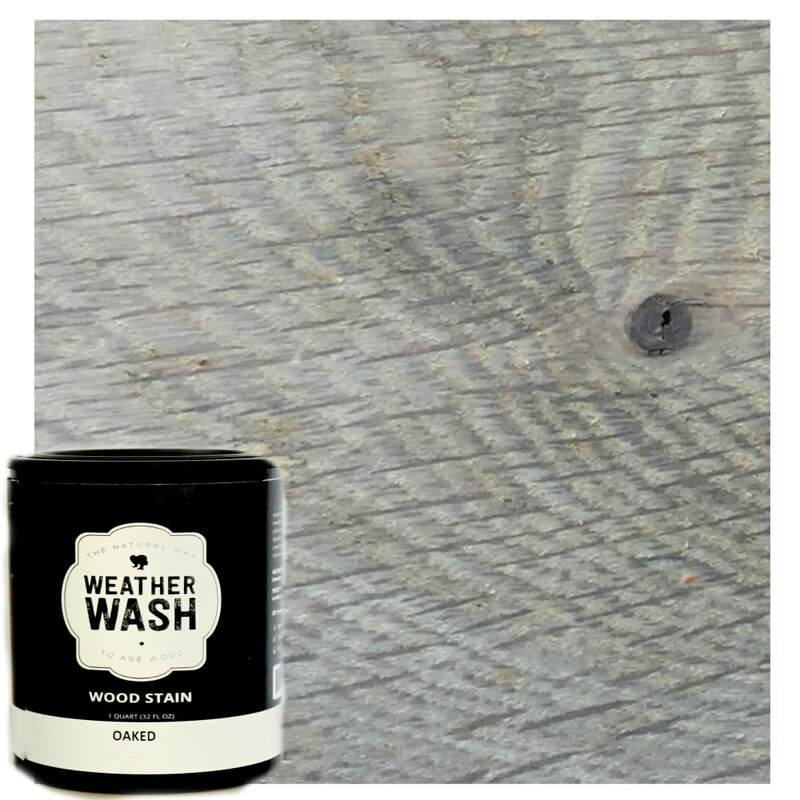 Why waste hours applying primers, paints, and glazes when you can actually age wood? 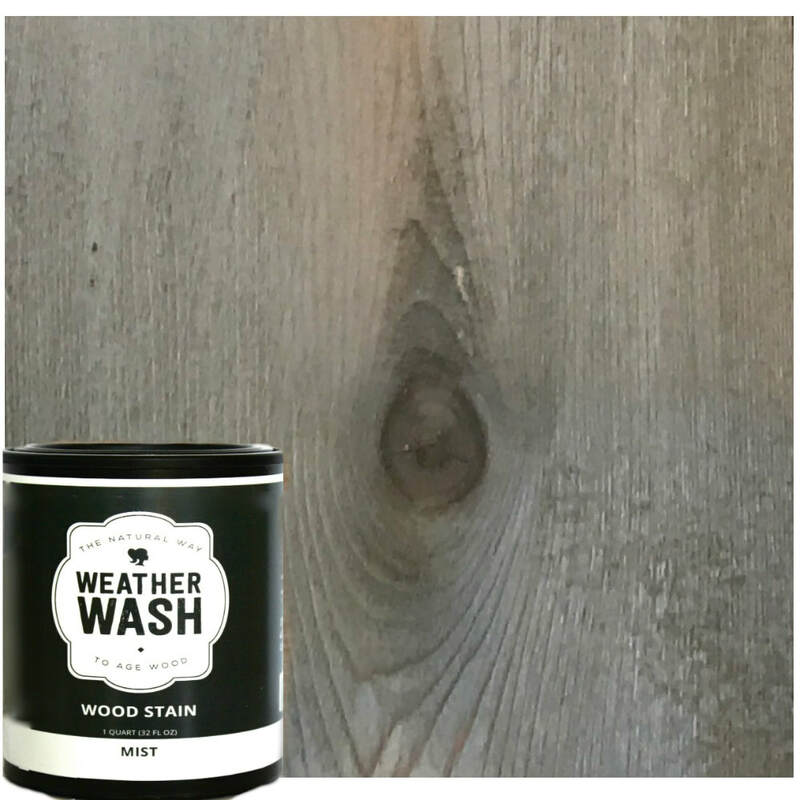 Weatherwash stains are tannin-based, reactive stains, which naturally age wood in minutes. All wood has some amount of tannic acid. 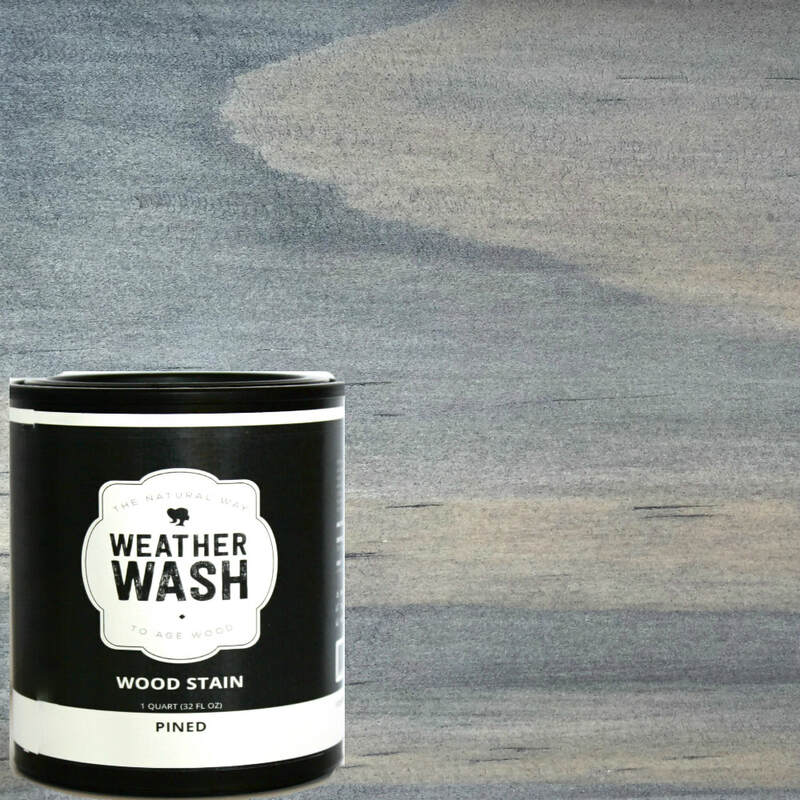 Our Weathering washes react with those tannins to yield aN aged look in minutes, instead of centuries. COLOR RESULTS DEPEND ON WOOD SPECIES AND WILL CREATE A NATURAL-LOOKING RESULT WITHOUT COMPROMISING THE GRAIN. STAINS CAN BE TOP-COATED WITH WEATHERWASH PRODUCTS AND add the perfect look to your home. 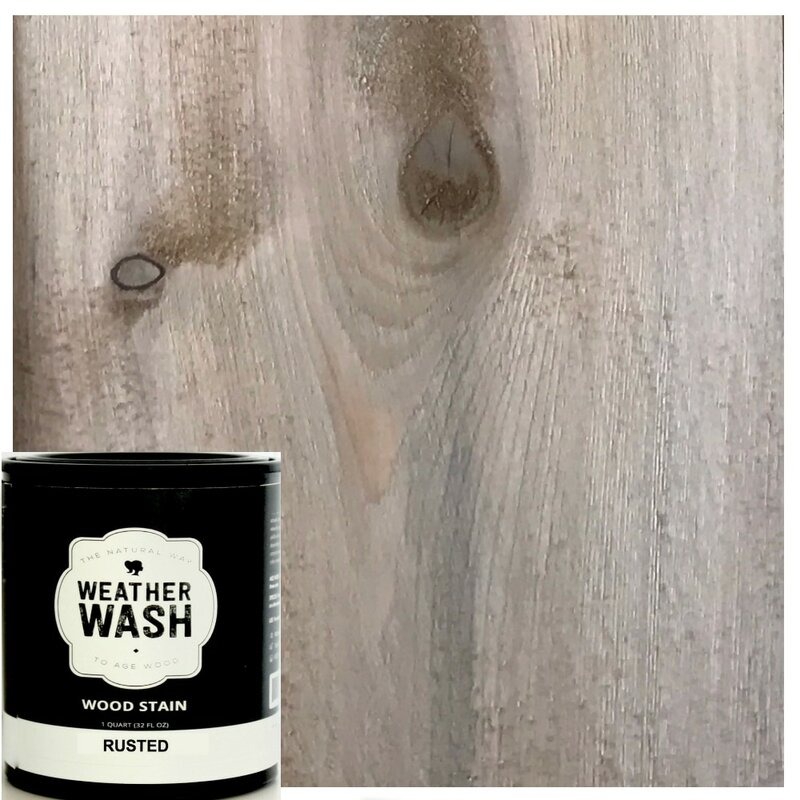 ﻿To achieve a warm, aged brown with gray on ALL wood species. ​Can be layered to achieve darker shades. ﻿To achieve a driftwood gray on ALL wood species. Can be layered to achieve darker shades. ﻿Beautiful gray/brown look on inexpensive (low tannin woods), like Pine, Poplar, White Fir, Spruce. OR a medium - dark gray on HIGHER tannin woods. Each wood type turns its own color so check out our color chart! ​Achieves light - dark GRAYS depending on wood species. Each wood type turns its own color so check out our color chart! ​Achieves light - dark BROWNS depending on wood species. Each wood type turns its own color so check out our color chart! *For use on most woods types.